The diplomatic dispute between Canada and China took a turn for the worse during the month of March. First, Richardson International, a major Canadian canola exporter, had its registration to ship its product to China revoked by Chinese authorities. Beijing then increased its pressure even further, revoking the licence of another major producer, Viterra Inc. Chinese importers have been unwilling to buy Canadian canola, and all Canadian agricultural products will be facing tough border inspections. But make no mistake, this is not a trade war. The economic component is part of a larger, more political, whole. 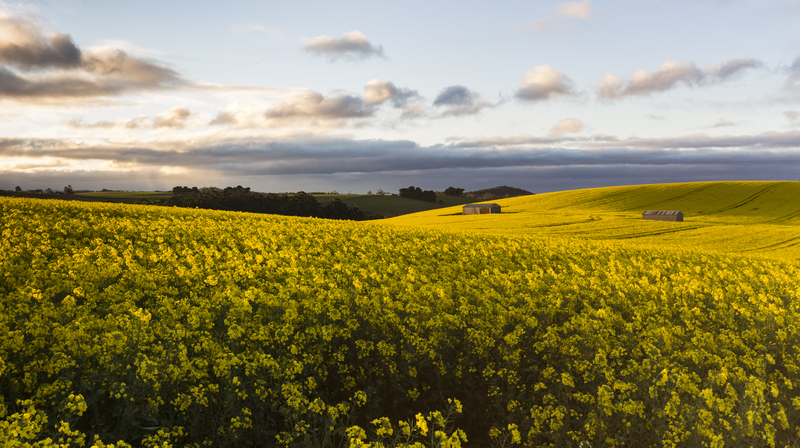 The suspicious holdups of Canadian canola began only days after the start of extradition proceedings for Huawei CFO Meng Wanzhou. Indeed, it is the arrest of Meng in Vancouver during December of last year that sparked the diplomatic row between Beijing and Ottawa. The arrest, carried out based on an extradition request from a New York court, was met with a first round of retaliation from Beijing. Canadian citizens Michael Kovrig and Michael Spavor were both arrested in China on sketchy charges. In the game of chess between Canada and China, Beijing took a knight, but Canada still holds the opponent’s queen. Meng is the daughter of Huawei’s founder and former People’s Liberation Army engineer Ren Zhenfei, known as “China’s most secretive businessman.” Ren, unsurprisingly, has ties with the Communist Party and Huawei has become an industrial champion for China, although the company has strongly denied it would take orders from upper echelons of the CCP. China has erected a very strong non-tariff barrier that has already been hurting Canada’s economy. Farmers in the prairies have had to change their planting plans, and their financial sustainability will take a significant hit. Commodity prices also took a significant hit in March after the first wave of restrictions were announced. In 2018, China was the destination for 41% of Canadian exports in canola seeds, representing C$4 billion worth of goods. While a lower price will prompt an increase in purchases from other countries, it will probably far from cover the loss in demand that came from China. Beijing thus has put Canada’s economy under pressure by targeting a marquee Canadian export in the agricultural world. Canada’s Liberal government is in a tough position. The SNC-Lavalin scandal doesn’t help, both with Canadian voters and with Chinese officials. It highlights the hypocrisy of the “rule of law” arguments made for Meng Wanzhou extradition as the Canadian government comes to the defence of an industrial giant of its own. The first priority for the Canadian government is to obtain scientific evidence to prove wrong China’s claim that the canola seeds are unsafe and unsanitary. Some observers have also urged Canada to file a complaint at the World Trade Organization. But the lethargic pace of the organization’s appellate body means that a WTO case is anything but a short-term solution. Thus, farmers may receive aid from Ottawa. Ultimately, the dispute will have to be solved with Beijing directly. Unfortunately, one farmer’s request that Trudeau hop on a plane to Beijing “yesterday” to negotiate may be ill-advised. The dispute with China is complex and to tackle the issue will require a well thought out strategy. To return to—and slightly amend—the chess analogy, Canada is but a piece on the board of a much larger game being played between the US and China. Canada is in such a tough position because it responded to a US extradition request in the first place, and because it does not have much room to maneuver in terms of its relationship with its Southern neighbour (and by far largest trading partner). The USMCA, bitterly negotiated to replace NAFTA, has not yet passed Congress. It also contained a controversial clause barring signatories from signing preferential trade agreements with a “non-market economy.” Thus, if Trudeau and his cabinet are to resolve the dispute with Beijing, they will have to weigh the livelihoods of canola farmers and the two detained Canadians against the possibility of antagonizing the relationship with Washington. Unfortunately, the impasse may only be resolved if the American extradition request is denied and Meng Wanzhou is released, and if the US and China can reach an agreement on their almost 300-day long trade dispute. Trade and Law have left Trudeau with an unenviable political decision. What’s more, China’s pressure on canola farmers (which in fact mirrors the tactic used to pressure traditionally Republican-voting soybean farmers in the US) means that the diplomatic dispute will probably translate into political discontent from voters in the Western provinces. These are the same voters who Trudeau has attempted to please with his pipeline policy. Featured image by Steven Penton, via Flickr Creative Commons.